Preparing your income taxes? You’re probably looking for as many tax deductions as possible. Medical care is expensive, so if you can write off the cost of your health care, you can potentially lower your tax bill. However, IRS rules are complex and detailed. You need to understand whose medical expenses are tax deductible, what types of expenses are deductible, and whether or not you have enough tax-deductible medical expenses to make it worth your while. 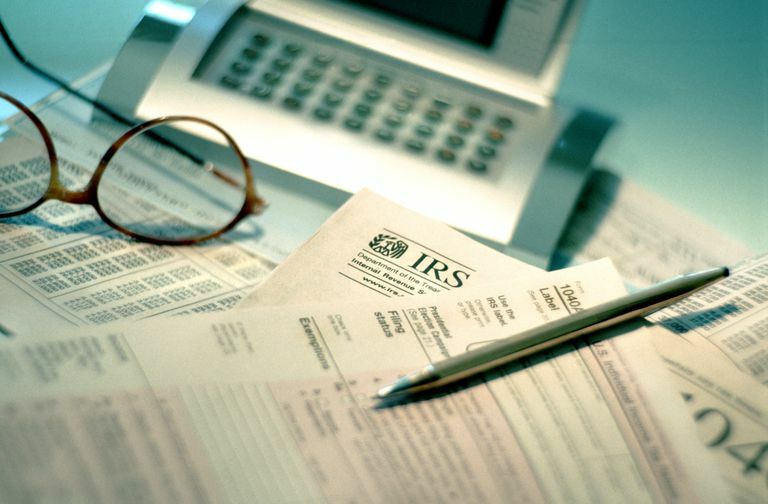 Claim them as a tax deduction when you itemize your deductions. This is how the vast majority of people will write off their expenses. You must use Schedule A of Form 1040. If you take the standard deduction rather than itemizing your deductions, you can’t write off your medical expenses unless you qualify to use the second way. Claim them as an adjustment to your income. This lowers your adjusted gross income making it look like you made less money. Medical expenses that can be written off this way are less common but may include the cost of health insurance premiums for the self-employed. In this article, we'll look at the first method. It allows you to write off a broad range of medical expenses if your total medical costs are high enough, and there's no requirement that you be self-employed. Do You Have Enough Medical Expenses to Make It Worth Your While? In order to claim a medical expense tax deduction on Schedule A, your expenses have to add up to at least 10 percent of your adjusted gross income. You only get to deduct the expenses that exceed this 10 percent threshold. For example, if your adjusted gross income is $100,000 and you have $12,000 in qualified medical expenses, you’ll get to deduct $2,000. The first $10,000 of your medical expenses is used to meet the 10 percent threshold. The remaining $2,000 can be claimed as a tax deduction. The deduction threshold used to be 7.5 percent of adjusted gross income, but it increased to 10 percent in 2013. However, if you or your spouse was 65 or older, the IRS kept the threshold at 7.5% of your adjusted gross income through 2016. Starting in 2017, the 10 percent deduction threshold applies to everyone. The American Health Care Act (AHCA), which House Republicans passed in May 2017 in an effort to repeal the ACA, would have reduced the deductibility threshold to 5.8 percent of adjusted gross income, effective as of 2017. The bill did not pass in the Senate, however, which means that the deductibility threshold remains at 10 percent. Your opinion about what constitutes a medical expense may differ from the IRS’s opinion. According to the IRS, “Medical care expenses must be primarily to alleviate or prevent a physical or mental defect or illness. They do not include expenses that are merely beneficial to general health, such as vitamins or a vacation.” To read the law yourself, check out Internal Revenue Code section 213. You can’t claim expenses that your health insurance company paid, or expenses reimbursed by your pre-tax flexible spending account or health savings account. In other words, no "double dipping." If you received medical care during a given year, but paid for the care in a different year, you claim the expense in the year you paid for it, not the year you received the service. For example, if you received treatment in autumn of 2015 but didn’t pay for that treatment until January of 2016, you’d claim the medical expense on your 2016 taxes, filed by April 18, 2017. In some cases, you can claim the cost of health insurance as a tax-deductible medical expense. If you're self-employed, you have the option of deducting the premiums that you pay yourself (not including any premium subsidies you receive in the exchange, or premiums that anyone else pays on your behalf). In that case, you don't have to itemize your deductions. But for folks who aren't self-employed, health insurance premiums can be lumped in with other medical expenses to reach the deductibility threshold (10 percent of adjusted gross income). Long-term care expenses (qualifying rules apply) and some long-term care insurance premiums. For the IRS’s list of qualified medical expenses, check out IRS Publication 502. Generally, you can claim a tax deduction for your own medical expenses, your spouse’s expenses, and your dependents’ expenses. Cornell Univerity Law School, Legal Information Institute, 26 U.S. Code 213, Medical, Dental, etc. Expenses. Internal Revenue Service. Publication 502, Medical and Dental Expenses.